At Peng Dental Care in Gardena, California, Dr. W. Felix Peng provides functional orthodontics and jaw orthopedics for residents of Gardena and nearby Los Angeles neighborhoods. 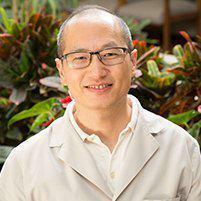 Widely regarded by many patients as a leader in the field, he’s helped many residents in the area achieve beautiful smiles. What are Functional Orthodontics and Jaw Orthopedics? Functional orthodontics and jaw orthopedics refer to the same specialty. They’re a sub-specialty within orthodontics. In addition to adjusting the teeth’s alignment, which general orthodontics also does, functional orthodontics (or jaw orthopedics) also addresses misalignments between the upper and lower jaw. What Symptoms Can a Misaligned Jaw Cause? Misalignment of either the upper or lower jaw will affect a person’s bite. Its effects, however, aren’t limited to eating. It can also cause shoulder or neck pain, migraines, sleep apnea, dizziness, hearing issues, TMJ and other issues, not to mention give someone an unusual facial profile. Who Should Consider Seeing a Functional Orthodontist? Anyone who is concerned about their own or their child’s jaw structure may want to consult a functional orthodontist. During an initial visit, a functional orthodontist will usually perform a preliminary exam, and they can diagnose and suggest treatment options for any issues that are found. What Should Patients Look for in a Functional Orthodontist? First and foremost, residents of Gardena should seek out a functional orthodontist who is licensed and board-certified in California. They may also want to look for someone who has a conveniently located office, as some treatment options may require multiple visits. Is Jaw Orthopedics Covered by Insurance? Whether a jaw orthopedics treatment is covered by a patient’s health or dental insurance will depend on both their plan and their diagnosis. In some cases, treatment is covered. In others, it’s not. Most functional orthodontists are willing to work out payment arrangements with patients who don’t have insurance.